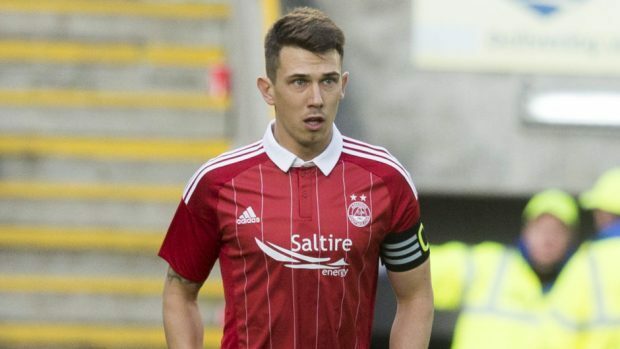 Aberdeen opened their Scottish Premiership season with a goalless draw in a frustrating afternoon in Perth as they were held to a goalless draw by St Johnstone. Following Thursday’s Europa League exit at Maribor Dons manager Derek McInnes made three changes to the side which lost 1-0 in Slovenia. Summer sighing Anthon O’Connor replaced defender Ashton Taylor who was suspended while Niall McGinn and attacker Adam Rooney, who signed a new contract on Friday, dropped to the bench. Miles Storey and Jayden Stockley came into the starting 11. The Dons dominated the first half but it was the home side who came closest to breaking the deadlock in the opening 45 minutes. Joe Lewis made a fine save to keep out Graham Cummins’ shot before the Dons goalkeeper made an even better block to deny Danny Swanson after the Aberdeen defence had failed to clear a Joe Shaughnessy throw-in. Aberdeen’s only shot on target in the first half came from captain Ryan Jack but his low drive from the edge of the box was comfortably held by Saints goalkeeper Alan Mannus. Lewis made another save to deny Cummins at the start of the second half before McInnes sent on Rooney and McGinn in an attempt to break Saints’ resistance and it almost paid off immediately when a Dons break ended with Mannus tipping away a low drive from Jack. The Aberdeen captain went close again in the closing stages with a header which Mannus turned round his post as the Dons had to settle for a share of the spoils.